Made from 100% linen, White Stuff's Silence jersey shirt is perfect for warmer days.It comes in a sleeveless design and has a buttoned half placket. Made from 100% linen, White Stuff's Silence jersey shirt is perfect for warmer days. It comes in a sleeveless design and has a buttoned half placket. 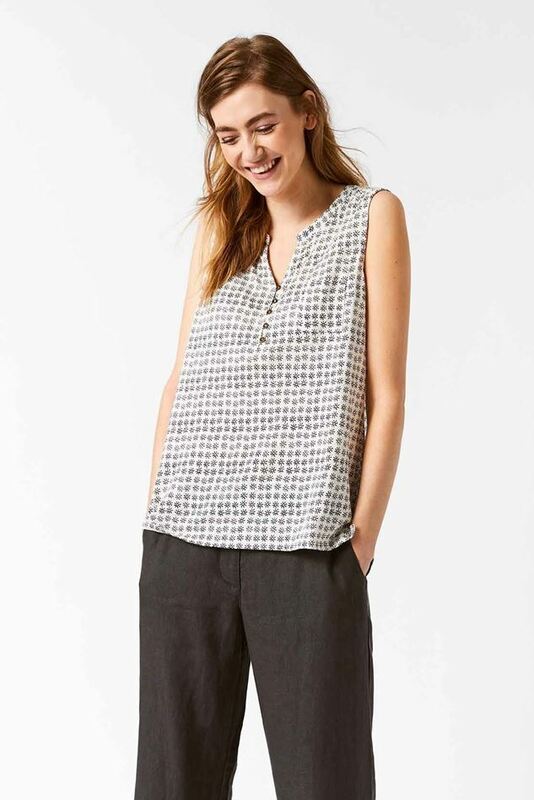 With a subtle print throughout, this lightweight top will look great teamed with culottes for an easy holiday look.